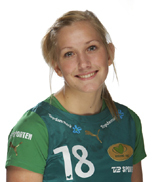 22.02.2008 - The talented, young left winger of Viborg was awarded a contract for her great performance and promising future. 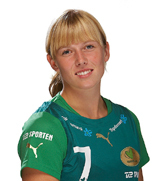 14.02.2008 - Viborg's left winger enjoys the pressure as she remained the only one in her position in the team. 05.02.2008 - Viborg still have some injuries in the squad, the Romanian right winger will hardly return this season. 19.11.2007 - The Montenegrin players kept their promise: Buducnost fought for 60 minutes and saved a valuable point in the last seconds.